Looking for something fun to do? 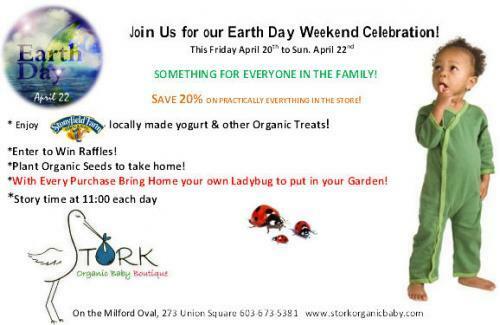 Join us for craft week at STORK! 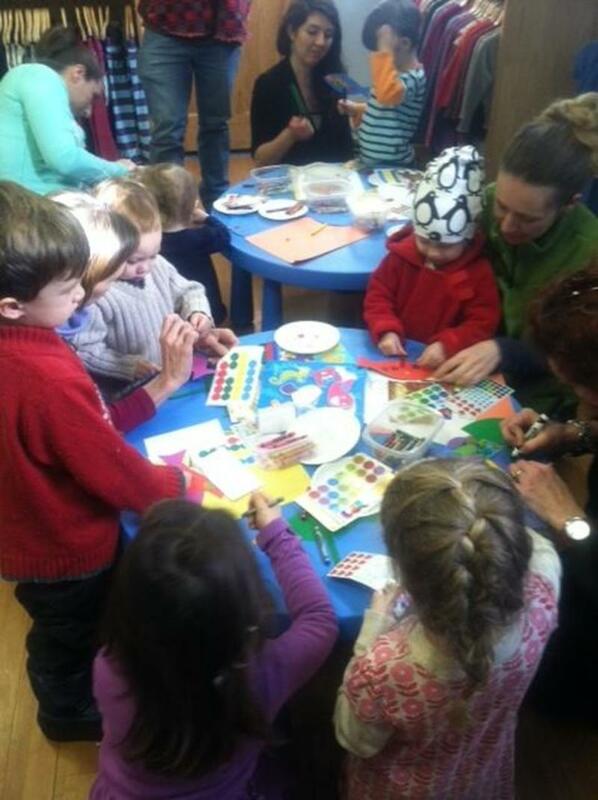 Come relax and enjoy making fun crafts with your child(ren)! 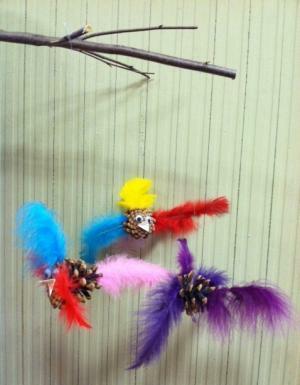 On Tuesday & Thursday you can make Pine Cone Owls, or a Pine Cone Bird mobile, or both! 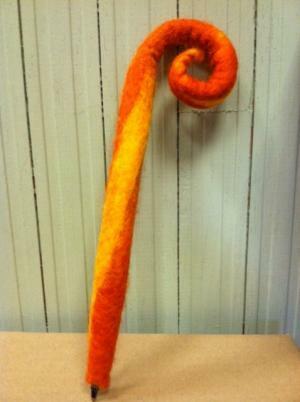 On Wednesday & Friday make a felted Pencil or Pen (in a rainbow of color choices!)! Come in any time during the craft times listed below to take part in any craft. 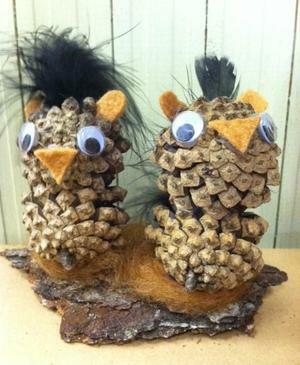 All proceeds benefit Pine Hill Waldorf School, in Wilton, NH. Felted Pen or Pencil $5. RSVP's are not necessary, but if you do plan on coming, let us know! 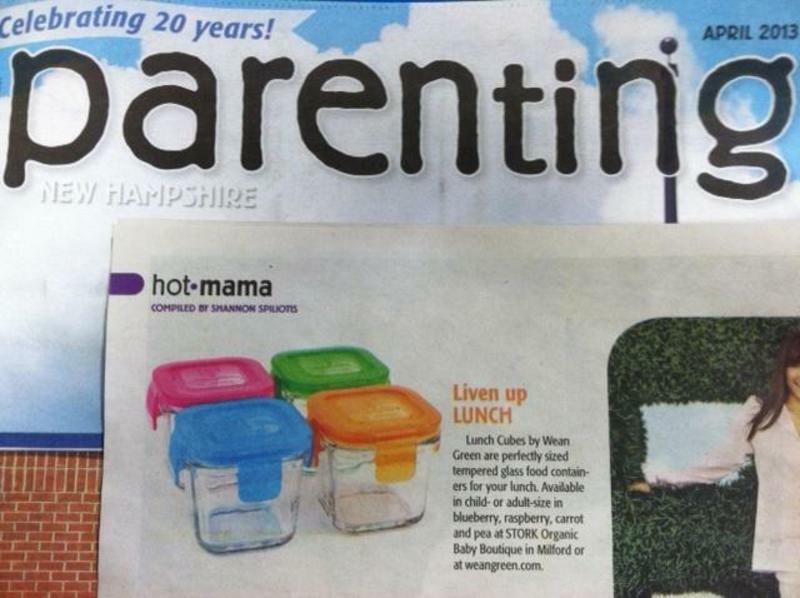 Our Wean Green Products featured in Parenting New Hampshire Magazine! Thank you Anne! Opps!.. We mean Merci! The Saturday after Black Friday is Small Business Saturday. 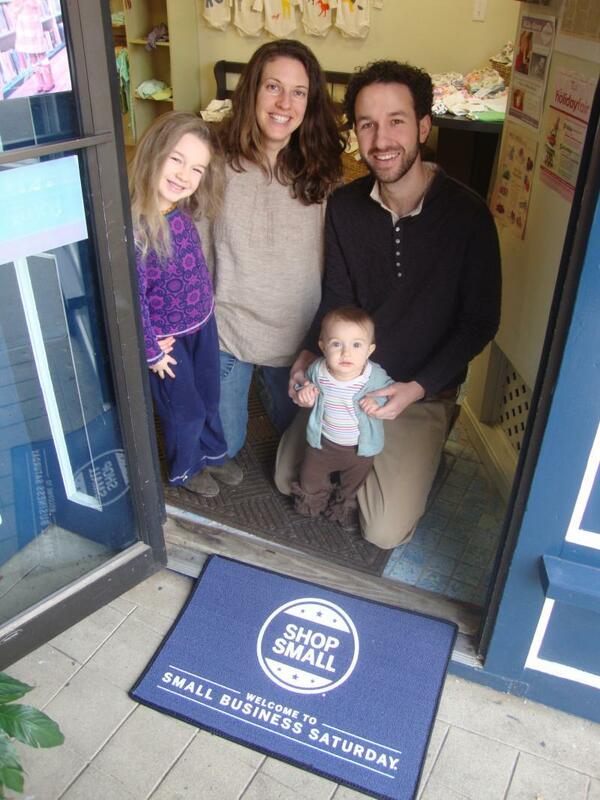 A day to shop and support Small Locally Owned Businesses. We appreciated everyone that shopped with us this year. 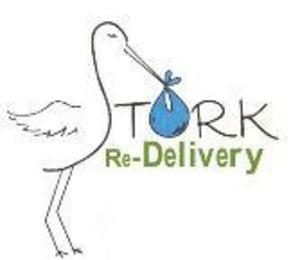 Has your little one outgrown your STORK Clothing? SAVE THE DATES for our Birthday Celebration! 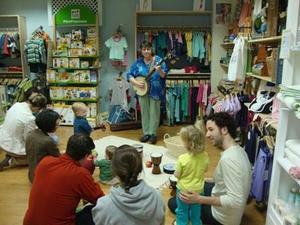 At 11am Amy Conley will be here for an hour of music, singing and dancing. We’ll have raffles, drinks and a big cake to celebrate 3 years in business! 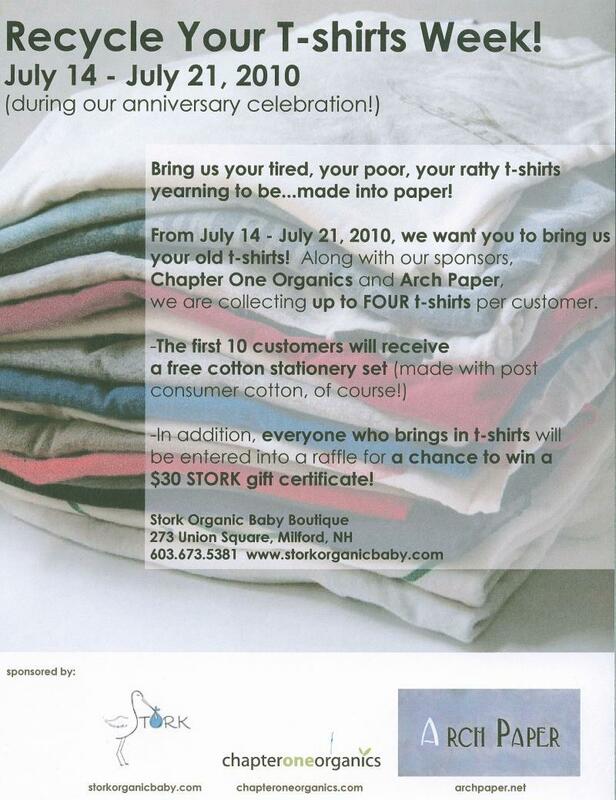 Bring us your tired, your poor, your ratty t-shirts yearning to be...made into paper! 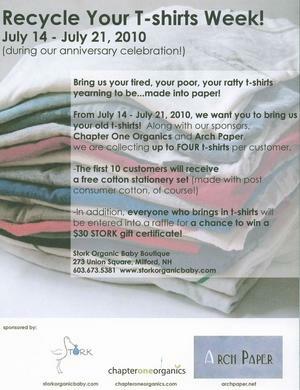 We are collecting up to FOUR t-shirts per customer. 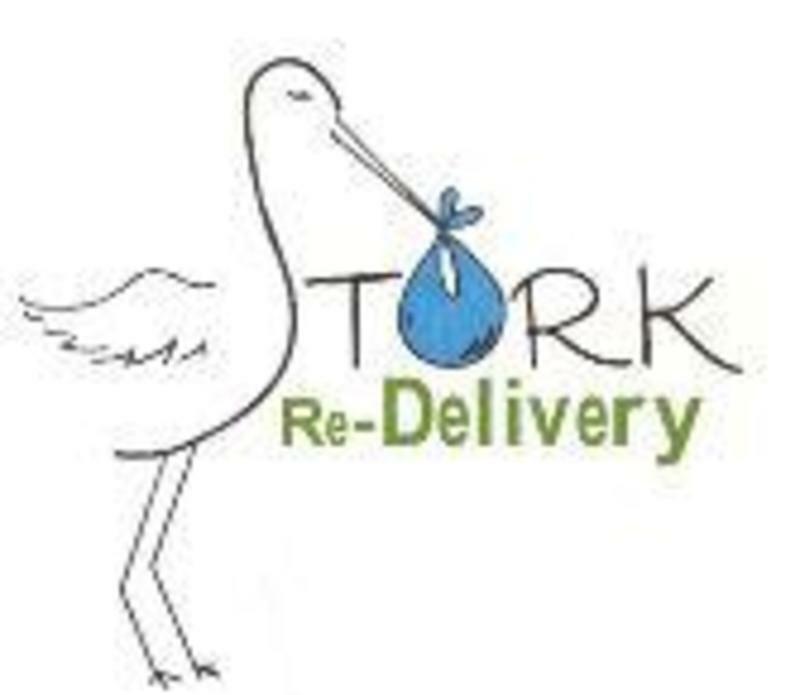 for a chance to win a $30 STORK gift certificate! To Celebrate our 3rd year in business! 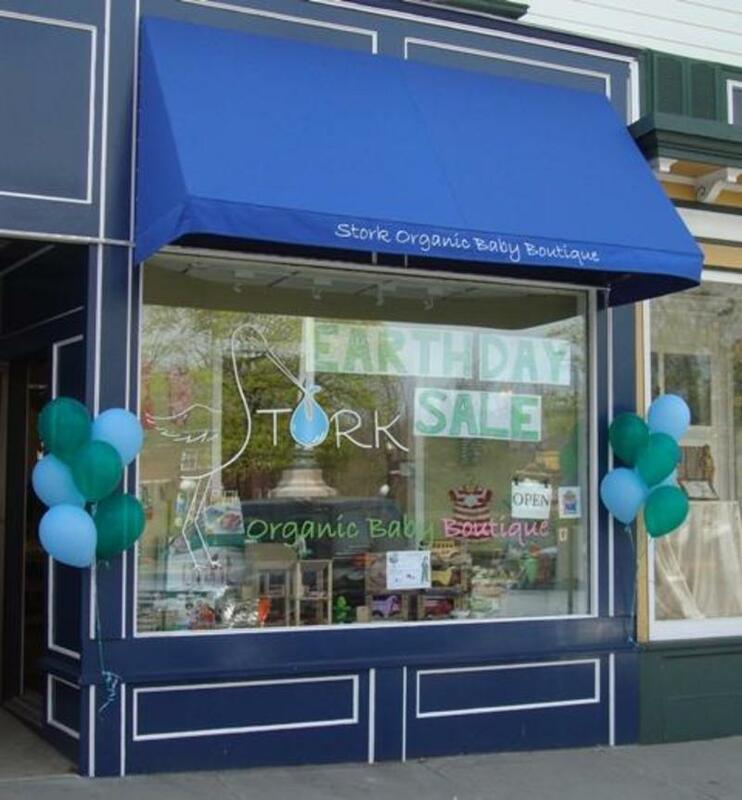 Kate Quinn recognizes STORK Organic Baby Boutique as a Featured Retailer for carrying an extensive array of their collections all year long. 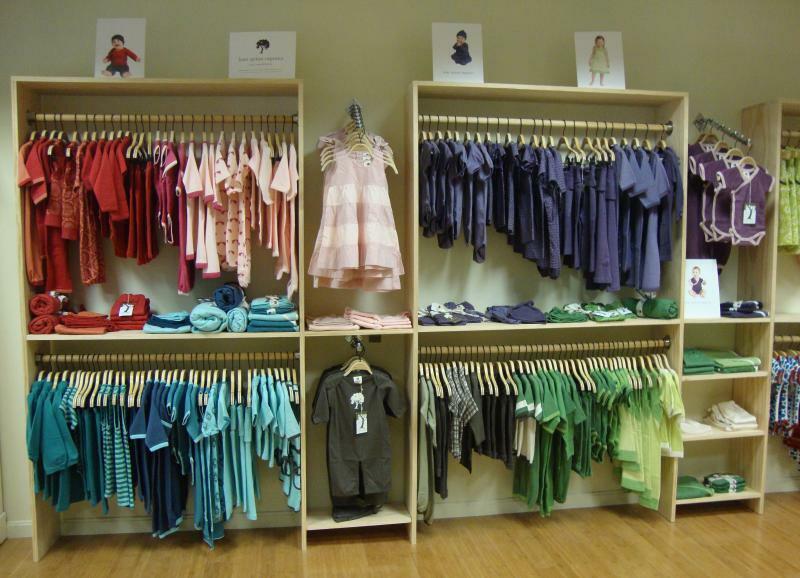 From their colorful basics such as kimono bodysuits and infant saques to seasonal tops, bottoms and dresses - STORK has it all! 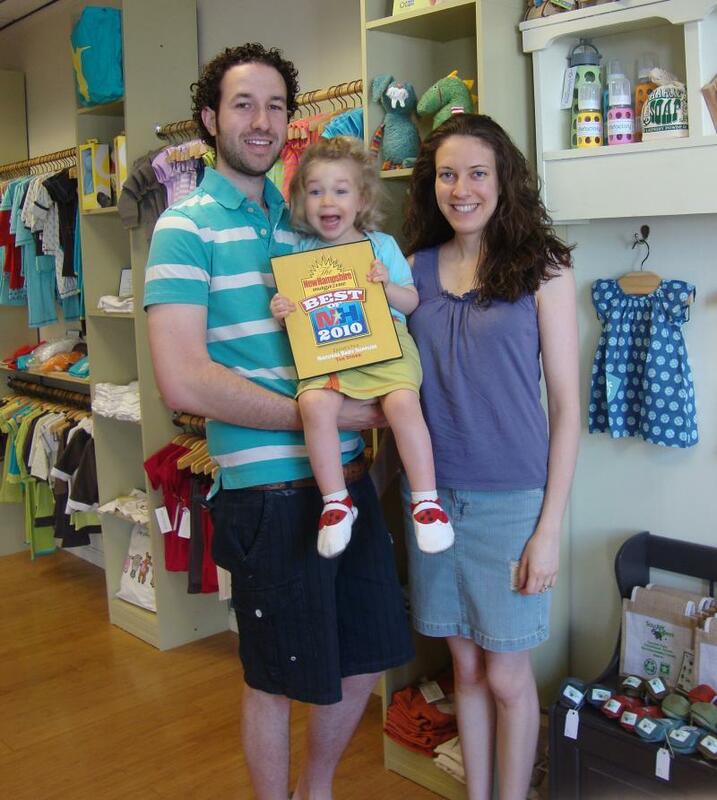 This was the first company we ordered from when we opened our storefront 3 years ago. Over these years we've gotten to know them quite well and it has been a pleasure working with them. We enjoy carrying their unique and distinctive line of clothing. It will surely be your favorite as it is for many of our customers. 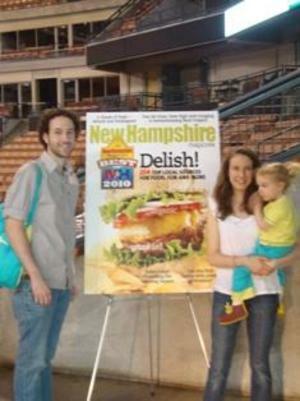 We attended the Best of NH Party at the Verizon Center in Manchester NH. It was a fun night of sampling foods from all the "BEST" voted restaurants around NH. Here we got a quick picture in front of the July issue of New Hampshire Magazine. 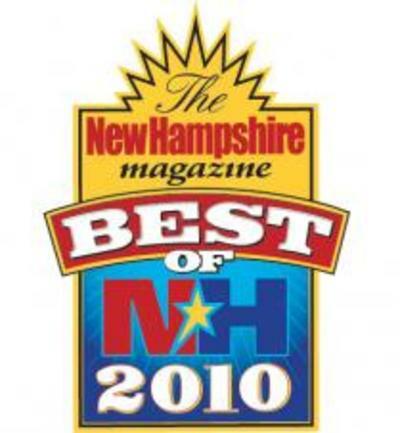 Look for it out on Newstands and see the listings of all the Best of NH Winners! Milford-June 2010 STORK Organic Baby Boutique has been selected by the editors of New Hampshire Magazine as “Best of NH 2010” for Natural Baby Supplies. 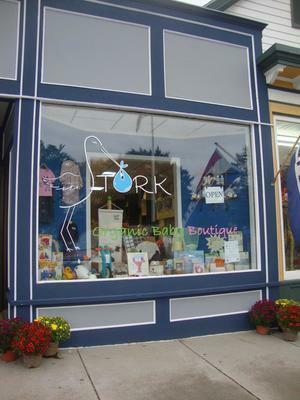 STORK has the largest array of organic cotton baby clothing in New Hampshire. 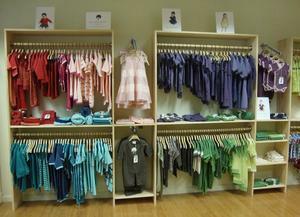 Their sizes range from Newborn to 6 years. They also carry many new baby/new parent necessities such as cloth diapers, glass bottles, natural rubber teethers, safe and gentle soaps, shoes, toys, slings and baby carriers. 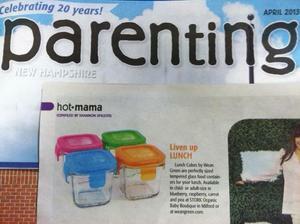 They are the exclusive NH retailer for the Spa Baby Eco Tub and “Milkies” Milk Saver. 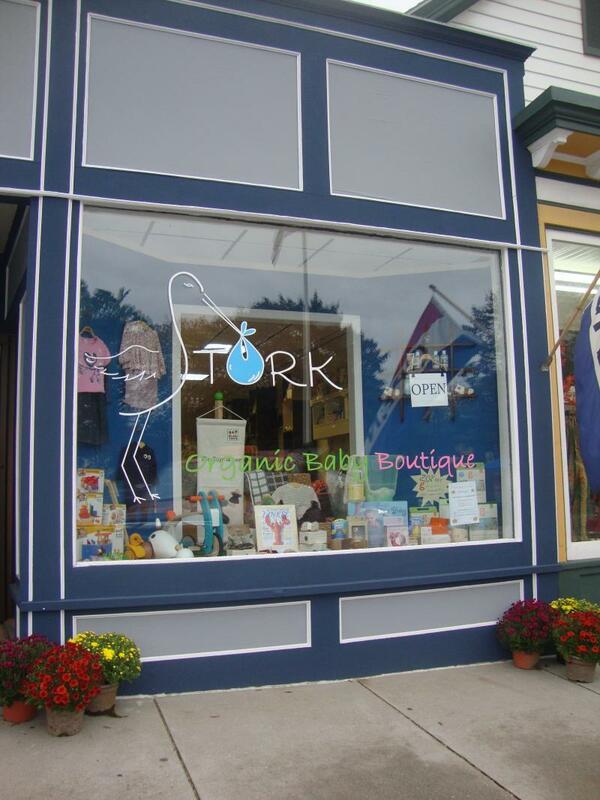 STORK Organic Baby Boutique along with the other winners of “Best of NH” will be feted at a celebration that each year draws more than 1,500 people. It’s happening on Thursday, June 24, at Manchester’s Verizon Wireless arena from 5:30-8:30 p.m. To guarantee tickets, call (603)868-7300, log onto www.bestofnh.com. New Hampshire Magazine is the state’s largest lifestyle magazine. 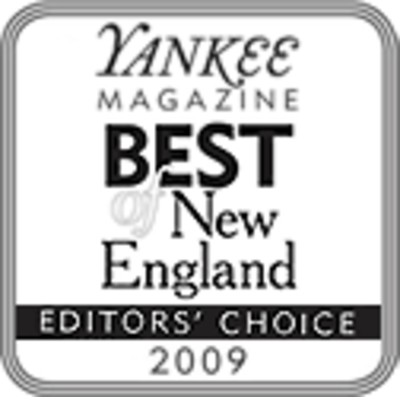 It is part of McLean Communications of Manchester, a publishing company that also includes New Hampshire Business Review, New Hampshire Home, Parenting New Hampshire and NH.com. Here is our booth at the First Anual Spring Herb and Garden Conference 2010 at the Pine Hill Waldorf school in Wilton, NH. It was such a beautiful day for the event. We had a very relaxing day spreading the word about our store. Adelaide had fun with our neighbors - they had alpacas! Here Amy Conley of Music Together in Milford performs at our Earth Day Celebration. The babies and kids are having a ball singing and dancing with her. I think the parents are having fun too! We've gone Blue... Just in time for Milford's Great Pumpkin Festival. Thank you Paula... you did an excellent job! 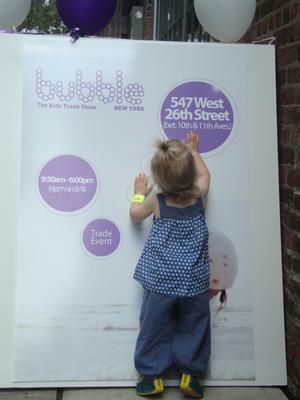 In August we attended the Bubble Kids Show in New York City. 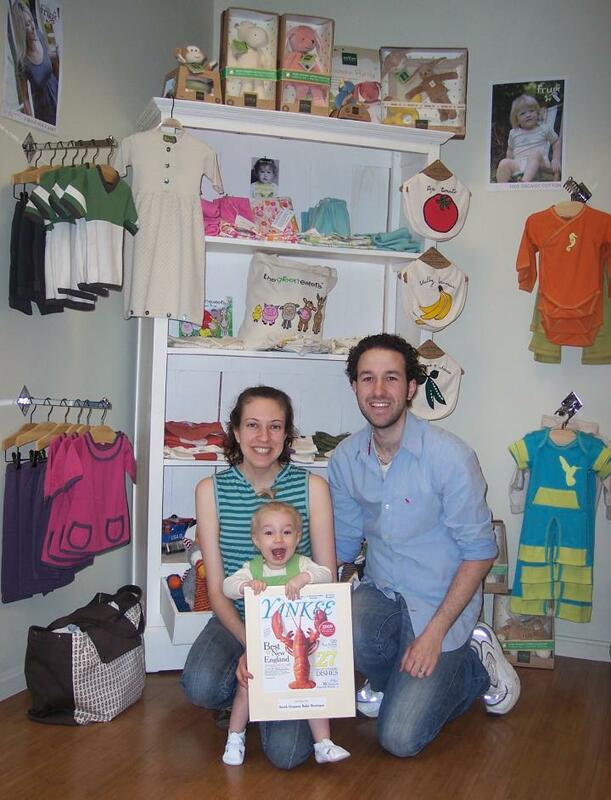 We had the opportunity to meet many of the people who design the clothing and toys we sell. After many phone and e-mail converations, it was great to finally put a face to the voice, and also hear what they have up their sleeve for next spring! We guarantee you'll love the designs to come. 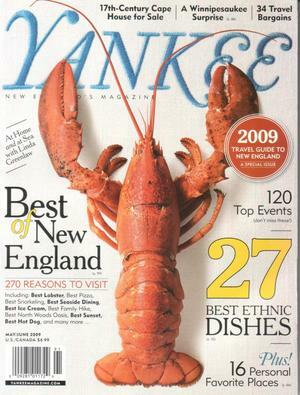 Have you picked up Yankee Magazine's Travel Guide to New England 2009 Edition? Turn to page 135 and guess who you'll see... Yup Us! 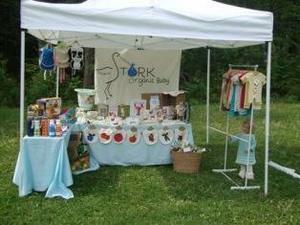 STORK was awarded "BEST BABY GIFTS"
By the Editors of Yankee Magazine! Thanks to all that came and celebrated Earth Day with us! We hope you found a great new home for your worm. Our Ladybug will definitely miss them in the store. Every morning when we came in she remebered them and scootched straight for the worms. It was her daily ritual. 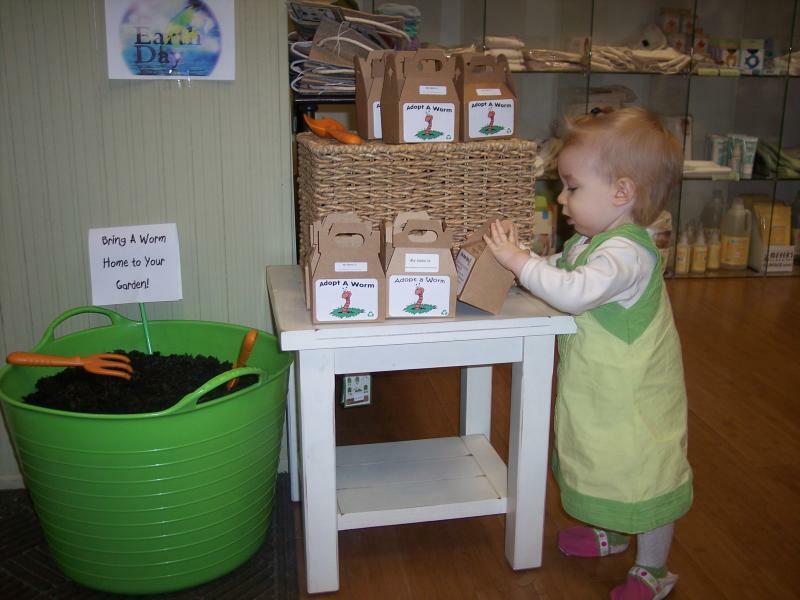 She had to dig until she found them to know they were ok .
We would also like to say Congratulations to Priscilla from Pelham, NH, who won the $50 gift certificate from our Earth Day Raffle. 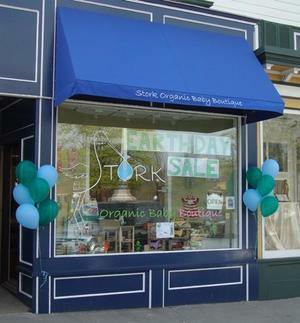 We hope to see you all next year for our 2010 Earth Day Celebration!